A thermal sight, thermal weapon sight, thermal riflescope is a Night Vision Thermal Device that combines a compact Thermographic Camera with a Aiming Reticle. Thermal Weapon Sights can operate in total darkness even through the smoke, fog, haze or light rain. 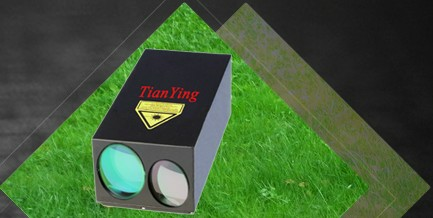 Tianying offers a wide range of Thermal Weapon Sights that are ideal for Military, Law Enforcement, Border Patrol, Special Operations personnel, Private Protection, Police SWAT and Sport Shooting Enthusiasts. The small - mid -large caliber rifle sniper thermal sights interface with a variety of 25mm, 50mm, 60mm,75mm, 100mm and 150mm telescopes. Menu-based, push-button controls are used for operating reticle selection and adjustment, polarity and brightness, while drop-in upgrades are meant to help ‘future proof’ the thermal sights by making upgrades simpler. Rifles are classified as small caliber assault rifles, medium caliber sniper rifle, or large caliber sniper rifle. Classifications are determined by a combination of weapon caliber, weapon system weight, crew size, and the primary type of intended target. 1, The small caliber assault rifles classification generally includes .22 to .250 caliber (5.45mm to 6mm) automatic weapons. whie maximum effective range of 5.56mm weapons is about 400 meters for against human torso-sized traget. 2, Patrol configuration marsman / sniper rifle. main use for 5.56mm - 7.62 caliber, such as QBU-88, M21, Remington 700, SVD, HK G28 etc; designated provide accurate fire to ranges of up to 600 meters and suppressive fire at ranges of up to 800 meters. It is to be used as a support weapon at squad level during foot patrols and other operations, , where use of 7,62mm general purpose machine guns and heavier support weapons is unavailable or undesirable. every rifle is guaranteed to deliver accuracy of 1.5 MOA or better than 1 MOA for 10-round groups with standard issue ammunition. 3, High precision sniper rifle, main use for 7.62x51mm .308, 7.62x67mm .300, 8.6x70 .338 caliber, such as CS/LR4, SR-93, SR-100, L115A3, etc; The intent ofthese trials was to procure a new sniper rifle which will defeatcurrent body armor at ranges of up to 600 meters Eventually. the sniper rifle accuracy is less than 1 MOA at any practicalrange, with proper ammunition is about 0.3 MOA at any practical ranges (in optimal environmental conditions and with highly trained shooter, of cause). .
As per .338 specification, rifle provides 99% or betterfirst hit probability against head-sized target at 600 meters and against human torso-sized target at 1,300 meters. Maximum effective range with recommended ammunition (.338 LM Lapua Scenar 250 grs) is 1,500 meters. 4, Large caliber sniper rifle. 12.7x99mm .50 caliber. .223 5.56x45mm NATO, about 851m/s, about 1785J. .308 7.62x51mm NATO, about 840m/s, about 3362J. .300 7.62x67mm winchester Magnum, about 930m/s, about 4635J. .338 8.6x70mm Lapu Mag, about 910m/s, about 6634J. .50 12.7x99mm NATO, about 928m/s, about 17876J. As thermal sght, reliability is best important, retains boresight through 10 rounds, 100 rounds is very different with 1,000 round or more, also you are use for which types rifle can retians boresight is very important, 5.56mm M4 is different with 7.62x51mm M21, 7.62x51mm M24 is different with 8.6x70mm L115a3. Now make a thermal sight is easy, many factory or supplier can make simple and cheap thermal sight, but if want to make a high reliability themal sight, then need also do many things and this things is not easy; normal from can make a thermal sight to can make a high reliability thermal sight need continuously manufacture and improve 3-5 years or longer time. Normal simple and cheap thermal sight retains boresight is easy move after shoot 10 rounds or 50 rounds, then if use for special shooting standard, the thermal sight can be called bad, but the price is very cheap. Now USA and Canada market have many simple air gun - M4 class assault rifles thermal sight with cheap price. this is why good quality USA military sniping rifle grade thermal sight price is more than USD 20000$/pc or 28000$/pc, why some 320x240 19mm lens military thermal monocular price is USD 15000$/pc that can only install to some M4 grade assaut rifle, but M4 assault rifle cheap thermal sight is only about USD 5000$/pc, in fact USD 5000$ can not buy the best grade 320x240 thermal core of thermal sight. 2, Shock protected precision optics. Different rifle shock is very different, Air gun and M4 class assault rifle shock is very small, such as 5.56mm caliber M4 rifle ammunition energy is only about 1785J, 7.62x51 ammunition energy is 2 time for 5.56mm NATO, 7.62x67mm is 2.5 times for 5.56mm NATO, 8.6x70mm is 4x for 5.56mm NATO. also same caliber amunition, if the rifle is different, then shock is not same, such as 7.62 x 51mm SVD shock is bigger than 7.62x51mm M24. this is why many supplier can offer shockproof thermal sight with cheap price in USA, but they do not say that can use for which typed rifle, only say shockproof. In fact 5.56mm M4 class rifle shock is similar shockproof handheld thermal monocular, this is why USA websize show many thermal sight price is similar or same with handheld thermal monocular. many common thermal core shockproof is similar 5.56mm M4 class shockproof, this is why many military small handheld thermal monocular can be as a thermal sight and use for M4 class rife. if need use for mid-big caliber rifle, then detctor chip, core, lens, OLED, house, mount etc test standard demand is very different, then parts cost is very different, normal common core can not meet demand and must use for special design core of thermal sight, so mid-big caliber thermal sight price is expensive for air gun and 5.56mm M4 class thermal sight.. such as when 500g shock test for 5pcs detector, maybe 1-2 pcs will shock bad, then this 1-2 pcs detector cost will add to also 4-3 piecs cost.. But detector chip max shockpoof is only about 500g and detector chip performance is not same for same specification, so if need do mid-big caliber rifle thermal sight, then also need do many works. Now many China factory make thermal sight with direct shockproof 300g or more, this ways is check military handheld monocular ways, use for this ways, when shoot with mid-big caliber rifle, the reticle is very easy move. they can not solve many problem for shooting as thermal sight, such as shooting accuracy, reticle, reliability etc. if want to solve this some shooting problem, need continuously manufacture and improve 3-5 years or longer time. because as mid-large caliber rifle themal sight - thermal rifle scope technology is very different with shockproof handheld monocular thermal scope. If do not test shockproof and vibration for thermal sight, then do not know the thermal sight can use for which type rifle, so many thermal sight is only say shockproof, but this factory or supplier do not show use for which rifle, only say price is cheap or only say image quality is good. 3, Quickly accurate shooting accuracy. 4, Good compatibility and ergonomic user-interfaces. 5, Mount quick detach and return to zero repeatability. Normal military device have a good environment adptability, such as working at -40 degrees to + 50 degrees or +60 degrees, also have waterproof, Humidity, sand/dust, ice/freezing rain etc. 7, Working distance and image quality. About thermal sight workin distance, normal say thermal sight working distance need see moving man's two legs, then can see human torso and be accuracy shoot. only say max detecting distance no have big mean, because max distance show imge is only a dot and find the dot success probability is only 50%, then can not accuracy shoot. normal 5.56mm M4 class rifle max distance is about 300-400m, 7.62x51 M24 class is about 600m - 800m, 7.62x67mm M24 class is about 1000m, 8.6x70mm class is about 1300m - 1500m. If you need have long working distance and good image quality, then need high sensitivity chip with high quality optical system. now normal uncooled detector chip is main from Europe, USA and China in market. normal Europe ulis 384x288 chip NETD is less than 100mk(03162) /80mk(03362) /60mk (03262) for F1 lens, but in market you can see many thermal device write their thermal sight NETD is 50mk with F1 lens or F1.3 lens, we do not know their NETD is how to measusre and where are they from? such as 58mk-70mk NETD chip, normal core NETD is about 65mk-80mk, normal therml sight is 90mk-100mk; if use for 80mk chip, therma sight NETD is about 120mk, if lens F data is big, then NETD will add. this is why many thermal sight is only write thermal sensitivity, but not say this data is chip data, core data or thermal sight data. FLIR detector chip have a good NETD, but normal USA FLIR is only offer common thermal core that NETD is less than 50mk and export is 9Hz low frequency thermal core; also FLIR common thermal core shockproof is not very good, normal use for air gun and 5.56mm M4 class rifle is ok. if which thermal sight is use for FLIR common thermal core, then thermal sight NETD is similar with ulis chip thermal sight. In 2017 year TianYing VOx theraml core NETD@F1.0 can be 26mK and MRTD is 230mK at +21.5° C, when temperature is -36.2° C, then NETD is 68mK and MRTD is 440mK; when temperature is +58.8° C, then NETD is 18mK and MRTD is 220mK. If you need best performance thermal core, then you need do some new circuit board, software etc, then thermal core NETD is less than 40mk, have good shockproof performance etc,then thermal sight NETD is less than 60mk. 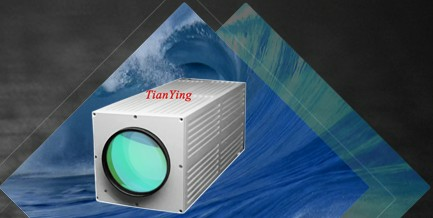 TIANYING thermal sight is use for best thermal core. About image quality, only say detector chip resolution can not decide thermal sight image quality, because image quality also need see other data, such as thermal sight NETD, software, lens quality, OLED etc. 8, Reticle and tactical windage/elevation adjustment. If you need a long distance thrmal sight, then reticle must have rangefinder function, some thermal sight use built-in laser rangefinder, but cost is too expensive. because if do not know target distance, then how to adjust windage/elevation and how to accuracy shoot. 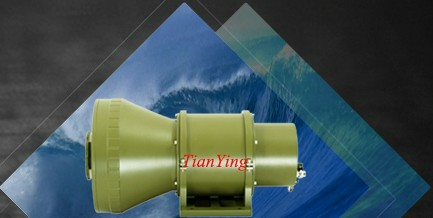 9, Workmanship, size, wight, battery continuous working time. 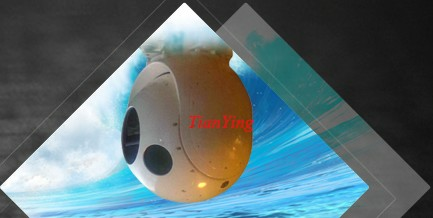 when say battery continuous working time, must say working temperture and test ways, because if working tempeature is different, then battery working time is very diffeent, also normal battery can not work at low temperature, such as -15 degres to -40 degrees, high temperature is same, at high temperature many battery can not work too. 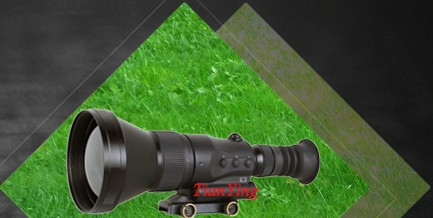 Tian Ying Optical can offer mid - large caliber military sniping rifle class thermal weapon sight, if you need, please contact me. Now show two video, then you can be easy see 6.5x thermal sight and 2.5x thermal sight show target image size is very different for 600m target. at 600m can clearly see man's two legs; at 850m and 950m can confirm the target is person, maybe some supplier called recognition or identification, also can see the image is clear and sharp that image quality can compete with many 640x480 chip detector thermal sight (thermal weapon sight ). at 600m person image is a dot, when use for electric magnification - digital zoom, then can find person target. 17microns 55mm lens 50mk show person image size is bigger than 25microns 384x288 75mm lens, but 17microns 55mm lens 50mk image is more clear than 25microns 384x288 75mm lens image.